A tropical island with numerous first class beaches, good swimming , diverse scenery and plenty for both the tourists and resident to do, Hainan often gets overlooked by many foreign tourists planning their vacation or by others looking to live in a place in the sun. With an area of approximately 33,900 km2 and a varied coastline stretching to some 1,528 km, Hainan is the largest of China’s islands and in total attracts some 25 million visitors a year, almost three times its population. 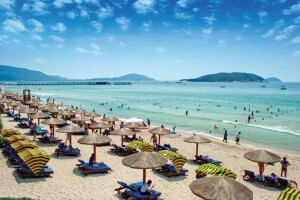 Only about 30 percent of these visitors are foreign visitors, and most head for the renowned beach resort areas of Sanya, Yalong Bay and Da Dong Hai in the south. The main business city, Haikou in the north, being located just across the Qiongzhou Straits from the mainland, attracts mainly Chinese visitors. As with many areas in China, extensive plans have been announced by the government to transform Hainan into a major international visitor destination, which will undoubtedly see more foreigners arriving in the coming years. Major developers have already initiated and even completed projects to meet the upswing in demand.